About Frame & Crate, Inc.
Frame & Crate, Inc. was founded by James Bier who has worked with some of Miami's leading art collectors, galleries and art dealers over the past twenty-five years. 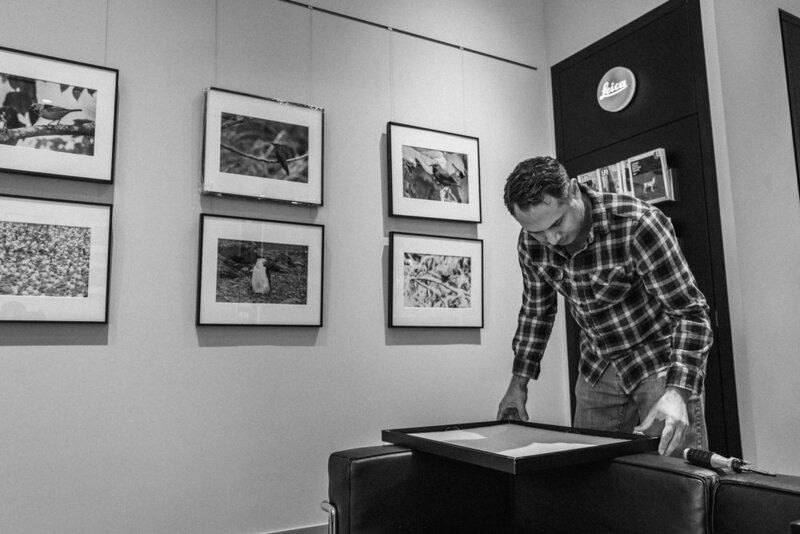 James is a CPF (Certified Picture Framer), a prestigious title earned through the Professional Picture Framers Association (PPFA) which focuses on quality conservation framing methods and standards. James Bier has been the official framer for the South Miami Art Festival, The Actor’s Playhouse, as well as Art Basel & the Miami Beach Convention Center. Above: James Bier and son, James (Jr.), installing at Leica Store Miami.